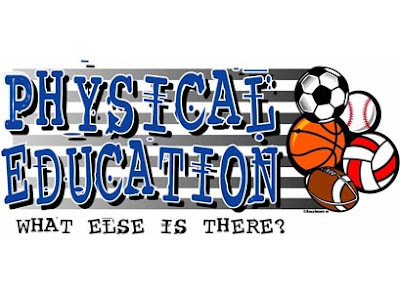 RockSports Daily Physical Education: PE, What Else Is There? PE, What Else Is There? Seriously, what else is there? I mean, tell me because I would like to know. I wake up in the morning to the smell of yesterdays gym socks and sweaty work out shirts and I think to myself 'I know where I belong'. Don't you agree? I can't imagine you telling me that you would rather sit in your cubicle in the comfortable air conditioning working at a computer or out in the world inventing the next great thing, or touring with your rock 'n roll band. What kind of a life is that? Who really wants to do those things for a living? . . . Really? Am I the only one? This is RockSports Daily P.E. Here you will find a different t-shirt on sale every weekday. This shirt is on sale for only $8.00 plus $5.00 USPS Freight. If this shirt describes you or someone you know, show them (or yourself) that you care with this great shirt. Be sure to come back Monday for a brand new deal.